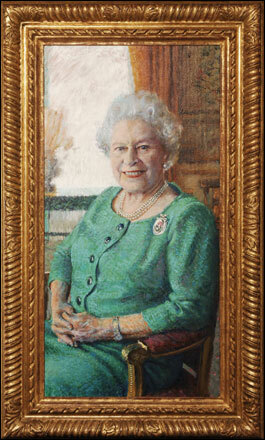 In one of the most bizarre royal stories I’ve seen for a while (and, let’s face it, most royal stories are pretty odd), the Queen has chosen – of all the artists in the country – Rolf Harris, to paint her eightieth birthday portrait. But at least one observer’s happy: Tracy Emin said it was “great for Rolf”. Unfortunately, Rolf was more “overwhelmed” and worried he might “get stage fright and panic”. Really though, it’s probably good for the Queen to be seen to be doing something ‘fun’, and connecting with the public a little. Though I’m not sure this is quite the way to do it. This 581st post was filed under: News and Comment. Comment posted at 11:57 on 19th December 2005. Comment posted at 15:22 on 20th December 2005.